SAGITA COM - WPS Office 2015 adalah OfficeSuite kuat, yang dapat membuka hampir semua tipe file, sepenuhnya kompatibel dengan Microsoft Office dan menyimpan dokumen Anda sebagai PDF. 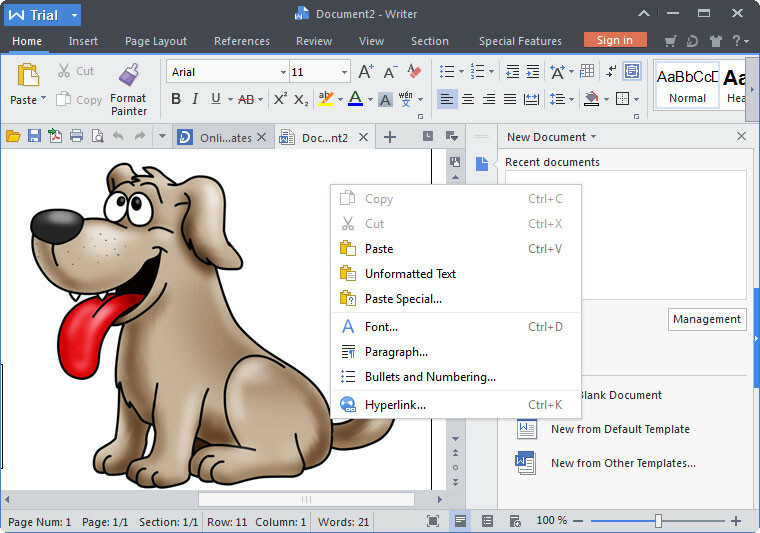 WPS Office mencakup three state-of-the-art program office: Word text processor, Presentation creator and Spreadsheet program untuk pengolahan data dan analisis data. Hal ini memungkinkan Anda untuk membuat dokumen, tabel, dan presentasi. Supports DOC, XLS, PPT, TXT, PDF and more. Fully compatible with Microsoft Word. Rich text, paragraph and shape formatting features. Make quick changes to margins and spacing using our Paragraph tool. Advanced collaboration features including track changes, spell check and comments. Fully compatible with Microsoft PowerPoint. Advanced text, paragraph and shape formatting features. Add photos, videos, sound and more to presentations. Insert and edit graphs, charts and tables. View notes in presenter mode. Over 160 formula and function shortcuts. Supports pivot tables, freeze frames, sorting, table styles and more. Insert charts including bar, pie, line and column. Support switch between French and English and spell check for multiful. Support go back to the last edited place in the text. Support Insert key and right-click the status bar to setup the Insert feature go-to features added, including go to footnote and more. Support split window vertically and horizontally. PrintDate, DocProperty and IncludePicture fields added.